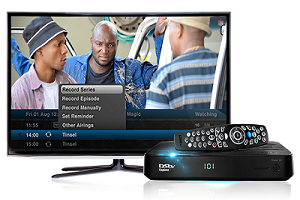 MultiChoice Nigeria, on Wednesday unveiled a special campaign offer to treat customers on its DStv and GOtv platforms to a memorable festive season. “The festive season is a great time for family and friends to come together, and we are making those moments extra special with world-class content on our platforms”. He said the upcoming festive season would be marked by TV content the whole family would enjoy. “Our customers will enjoy their yearly festive tradition even more as they create new memories with a line-up of amazing content such as our special Nigerian Festivals pop-up channel which features some of the biggest music concerts and shows on the continent including The Experience, Calabar Carnival, Akwa Ibom Christmas Concert and One Lagos Fiesta. We also have the much-loved special kiddies’ channel, Animania which will be a perfect companion for DStv kids this season. Football lovers will still enjoy the matches of the best football leagues in the world; Premier League, UEFA Champions League, La Liga and SerieA LIVE and in glorious HD on SuperSport channels,” he said. they should also slash the price too. Nice one coming from Multi Choice. Seems like Dstv has removed visat life channel from compact subscription. Couldn’t find it anymore.